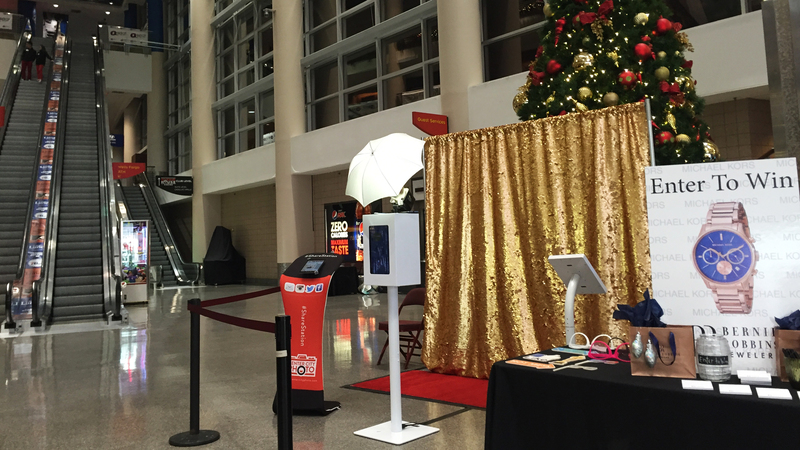 We were able to be apart of iHeartRadio's Jingle Ball at the Wells Fargo Center in Philadelphia. The photo booth was sponsored by Bernie Robbins Jewelers. We went through 173 sessions in 3 hours. We printed 1 strip for each guest that was apart of the photo, letting everyone walk away with a branded memory. We also had our sharing station, allowing any guests with the option to also upload their GIF images to Facebook, Instagram, or their email address. Bernie Robbins Jewelers chose our beautiful gold sequin backdrop to fit their holiday theme along with a few selected props to keep the line moving fast. It was pandemonium trying to get as many people with branded memories as possible, but the team managed to handle the event very smoothly with no hiccups.